This article is about the international food conglomerate. For the mineral, see Diamond. For other uses, see Cargill (disambiguation). Not to be confused with Kargil. 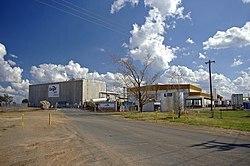 Some of Cargill's major businesses are trading, purchasing and distributing grain and other agricultural commodities, such as palm oil; trading in energy, steel and transport; the raising of livestock and production of feed; and producing food ingredients such as starch and glucose syrup, vegetable oils and fats for application in processed foods and industrial use. Cargill also has a large financial services arm, which manages financial risks in the commodity markets for the company. In 2003, it split off a portion of its financial operations into Black River Asset Management, a hedge fund with about $10 billion of assets and liabilities. It owned 2/3 of the shares of The Mosaic Company (sold off in 2011), one of the world's leading producers and marketers of concentrated phosphate and potash crop nutrients. Cargill reports revenues of $114.695 billion and earnings of $3.103 billion in 2018. Employing over 155,000 employees in 66 countries,  it is responsible for 25% of all United States grain exports. The company also supplies about 22% of the US domestic meat market, importing more product from Argentina than any other company, and is the largest poultry producer in Thailand. All the eggs used in US McDonald's restaurants pass through Cargill's plants. It is the only US producer of Alberger process salt, which is used in the fast-food and prepared food industries. Cargill remains a family-owned business, as the descendants of the founder (from the Cargill and MacMillan families) own over 90% of it. As a result, most of its growth has been due to reinvestment of the company's own earnings rather than public financing. Gregory R. Page succeeded former CEO Warren Staley in mid-2007, as Staley reached Cargill's mandatory retirement age of 65, and was CEO and chairman until 2013, when he in turn was succeeded by Dave MacLennan. Cargill was founded in 1865 by William W. Cargill when he bought a grain flat house in Conover, Iowa. A year later William was joined by his brother Sam, forming W. W. Cargill and Brother. Together, they built grain flat houses and opened a lumberyard. In 1875, Cargill moved to La Crosse, Wisconsin, and their brother James joined the business. La Crosse was strategically located on the Mississippi near the junctions of the La Crosse River, Dubuque, and Southern Minnesota divisions of the Chicago, Milwaukee and St. Paul Railroad. Sam Cargill left La Crosse in 1887 to manage the office in Minneapolis, an important emerging grain center. Three years later, the Minneapolis operation incorporated as Cargill Elevator Co.; some years after that the La Crosse operation incorporated as W. W. Cargill Company of La Crosse, Wisconsin. In 1898, John H. MacMillan, Sr., and his brother, Daniel, began working for W. W. Cargill. MacMillan then married William Cargill's eldest daughter, Edna. Upon Sam Cargill's death in 1903, William Cargill became the sole owner of the La Crosse office. John MacMillan was named general manager of Cargill Elevator Company and moved his family to Minneapolis. William Cargill died in 1909, creating a fiscal crisis for the company. MacMillan worked to resolve the credit issues and to force his brother-in-law William S. Cargill out of the company. The current owners are descended from John MacMillan's two sons, John H. MacMillan, Jr., and Cargill MacMillan, Sr., and his youngest brother-in-law, Austen S. Cargill I.
John MacMillan ran the company until his retirement in 1936. Under his leadership Cargill grew several fold, expanding out of the Midwest by opening its first East coast offices, in New York, in 1923, and the first Canadian, European and Latin American offices in 1928, 1929 and 1930. During this time, Cargill saw both record profits and major cash crunches. The first of the crises was the debt left by the death of William W. Cargill. The company issued $2.25 million in Gold Notes, backed by Cargill stock, to pay off its creditors. The Gold Notes were due in 1917, but thanks to record grain prices caused by World War I all debts were paid by 1915. As World War I continued into 1917, Cargill made record earnings and faced criticisms of war profiteering. Four years later, as a fallout from the financial crash of 1920, Cargill posted its first loss. In 1979, Cargill entered the meat-processing business with the purchase of beef processor MBPXL (later Excel). The division expanded into turkey, food service and food distribution businesses and is now known as Cargill Meat Solutions. Warren Staley became chief executive and continued expanding the company and it rebounded. By 2002, Cargill had over $50 billion in annual sales, twice the amount of its closest rival, Archer Daniels Midland, and had 97,000 employees running more than 1,000 production sites and out of 59 countries. On June 1, 2007, Staley was succeeded by Gregory R. Page. Page was succeeded by current CEO and chairman Dave MacLennan in December 2013. Richard H. Anderson, Retired Chairman of Delta Air Lines, Inc.
Cargill Beef Australia located in Wagga Wagga, New South Wales, Australia. Australia, China, India, Indonesia, Japan, Malaysia, New Zealand, Pakistan, Philippines, Singapore, South Korea, Sri Lanka, Taiwan, Thailand, Vietnam. Starting operations in 1987, Cargill now has a foods business unit Called Cargill Foods India which processes, refines and markets a wide range of both indigenous and imported edible oils, fats and blends to the food industry including Sweekar, Nature Fresh, Gemini, Rath and Shakti brands of Edible Oil. In 2012 it launched Chalki fresh atta in India by the brand name "Sampoorna". Its customers are in the retail, food service sector and beverage industry. Apart from sugar and cotton Cargill India is one of the largest originators and marketers of food and coarse grains in India. It also has its own Trade and Structured Finance arm which also operates the Cargill Capital and Financial Services India Private Limited. Its Cargill Energy, Transport and Metals BU is active across ocean freight, coal, iron ore and steel trading. And it has recently Bought Sunflower Oil Brand From Wipro In December 2012. Cargill is one of many large food companies buying directly from the Indian farmer. After the government of India, the second largest buyer of food grain in India is Cargill. It has been buying grains and oilseeds in India since 1998. It also has the largest producer of potash that is Mosaic. Austria, Belgium, Bulgaria, Denmark, Finland, France, Germany, Greece, Hungary, Ireland, Italy, Luxembourg, Netherlands, Poland, Portugal, Romania, Russian Federation, Slovakia, Spain, Sweden, Switzerland, Turkey, Ukraine, United Kingdom. Argentina, Bolivia, Brazil, Chile, Colombia, Costa Rica, Dominican Republic, Ecuador,  Guatemala, Honduras, Nicaragua, Paraguay, Peru, Uruguay, Venezuela. Cargill salt harvesting in Newark, California, USA. In 2005, the International Labor Rights Fund filed suit against Cargill, Nestlé, and Archer Daniels Midland in federal court on behalf of children who were trafficked from Mali into Côte d'Ivoire and forced to work 12 to 14 hours a day with no pay, little food and sleep, and frequent physical abuse, on cocoa bean plantations. In October 2007, Cargill announced the recall of nearly 850,000 frozen beef patties produced at its packing plant in Butler, Wisconsin that were suspected of being contaminated with E. coli. The beef was sold mainly at Walmart and Sam's Club stores. On September 13, 2017 NGO Mighty Earth released a report  documenting findings that Cargill purchases cocoa grown illegally in national parks and other protected forests in the Ivory Coast. The report accused Cargill of endangering the forest habitats of chimpanzees, elephants and other wildlife populations by purchasing cocoa linked to deforestation. As a result of cocoa production, 7 of the 23 Ivorian protected areas have been almost entirely converted to cocoa. Cargill was notified of the findings of Mighty Earth’s investigation and did not deny that the company sourced its cocoa from protected areas in the Ivory Coast. Broehl, Wayne G., Jr. (1992). Cargill: Trading the World's Grain. Hanover, New Hampshire: University Press of New England. ISBN 9780874515725. OCLC 24376223. Broehl, Wayne G., Jr. (1998). Cargill: Going Global. Hanover, New Hampshire: University Press of New England. ISBN 9780874518542. OCLC 37606238. Broehl, Wayne G., Jr. (2008). Cargill: From Commodities to Customers. Hanover, New Hampshire: University Press of New England. ISBN 9781584656944. OCLC 183162237. ^ a b c d e "Cargill Five-Year Financial Summary". Cargill, Inc. July 16, 2018. ^ Drake Baer (2 March 2015). "Cargill family has 14 billionaires - Business Insider". Business Insider. ^ "Cargill: Our Company - Our History - 1865 - 1899". ^ "Cargill on the Forbes America's Largest Private Companies List". Forbes. October 24, 2018. Retrieved March 25, 2019. ^ "Fortune 500 2013 - Fortune on CNNMoney.com". CNN. ^ "Five-Year Financial Summary". Cargill, Incorporated. Retrieved March 25, 2019. ^ a b c Caroline Daniel, Château Cargill throws open its halls, Financial Times, February 26, 2004. Retrieved June 15, 2009. ^ a b c d e f g h i j Neil Weinberg with Brandon Copple, Going Against The Grain, Forbes.com, November 25, 2002. Retrieved June 12, 2009. ^ "Excel History". ExcelMeats.com. Retrieved June 23, 2016. ^ Matt McKinney, At $471,611 an hour, Cargill posts fine quarter, Star Tribune, April 15, 2008. ^ Kneen, Brewster (2003). "Size is Everything". The Ecologist. 33 (3): 48–51. ^ Muttitt, Greg (2001). "Control Freaks". The Ecologist. 31 (2): 52. ^ Webb, Tom (2011-10-20). "A Cargill scientist, and a spy for China". Twin Cities Pioneer Press. ^ "Cargill News Release". Archived from the original on February 2, 2013. Retrieved November 5, 2014. ^ "Emporia Gazette". Emporia Gazette. Archived from the original on January 22, 2013. Retrieved November 5, 2014. ^ "Cargill building $100 million Indonesian cocoa plant". Retrieved 5 November 2014. ^ "Phaseout of Cargill's Black River Asset Management completed". ^ "Cargill selects site for new Wichita headquarters". ^ Cargill unveils plans for $60 million Protein Group headquarters; Wichita Business Journal; December 1, 2016. ^ "Joe Stone elected to Cargill Board of Directors". Cargill. Retrieved 8 June 2017. ^ Cargill, Inc. "Cargill Worldwide". Self-published. Archived from the original on March 14, 2016. Retrieved 20 March 2016. ^ a b "Cargill in Pakistan". ^ a b "SECP turns down incorporation request of Cargill Holdings". ^ Joseph R. Smith. Safflower. p. 124. ^ "Cargill seeks out fertile ground in Asia frontier markets". ^ "Cargill invertirá USD 50 millones en nueva planta de balanceado animal en Ecuador". El Comercio. ^ "Schilling Family". Retrieved 5 November 2014. ^ "Home". Diamond Crystal® Salt. ^ Temple Grandin (2011-05-16). "Open the Barn Doors". The New York Times. ^ "The Curse of Cotton: Central Asia's Destructive Monoculture" Archived August 5, 2009, at the Wayback Machine, International Crisis Group, February 28, 2005, pages 39. See also page 2. ^ Barnett, Marina (November 21, 2017). "Community Solidarity with Poultry Workers call for changes at Cargill". WHSV-TV. Gray Television. Retrieved May 13, 2018. ^ Wood, Victoria (April 5, 2018). "Nine protesters arrested outside Cargill in Dayton". WHSV-TV. Gray Television. Retrieved May 12, 2018. ^ a b Jane M. Hightower (2008). "11". Diagnosis: Mercury: Money, Politics, and Poison. Washington, DC: Island Press. pp. 141–151. ISBN 1-59726-395-8. ^ Bakir F, Damluji SF, Amin-Zaki L, et al. (July 1973). "Methylmercury poisoning in Iraq" (PDF). Science. 181 (4096): 230–41. doi: 10.1126/science.181.4096.230. PMID 4719063. Retrieved 11 June 2010. ^ Skerfving SB, Copplestone JF (1976). "Poisoning caused by the consumption of organomercury-dressed seed in Iraq". Bull. World Health Organ. 54 (1): 101–112. PMC 2366450. PMID 1087584. ^ "Cargill exports beef - tracking system at abattoir". Meat International. 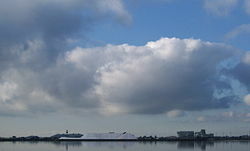 2009-04-28. Archived from the original on 2011-07-14. Retrieved 2009-04-29. ^ a b Curtis, Julie. "Cargill Issues Another Ground Turkey Recall". The Norwalk Daily Voice. Retrieved 19 July 2012. ^ Vitals (5 November 2014). "Contaminated ground beef sickens 10 in Vermont". NBC News. Retrieved 5 November 2014. ^ Feature story - December 12, 2003 (2003-12-12). "Soya blazes a trail through the Amazon | Greenpeace International". Greenpeace.org. Retrieved 2010-08-17. ^ Astor, Michael (2006-07-19). "Cargill finds resistance by environmentalists". Houston Chronicle. Retrieved 2010-08-17. ^ "Cargill – Eating up the Amazon" (PDF). Greenpeace. May 2006. Archived from the original (PDF) on July 26, 2011. Retrieved May 2, 2011. ^ "Beendete Petition - Für Cargills Palmöl brennt der Regenwald - Rettet den Regenwald e.V." Retrieved 5 November 2014. ^ "Chocolate's Dark Secret". September 2017. ^ Covey, R. and McGraw, W. S. “ Monkeys in a West African bushmeat market: implications for cercopithecid conservation in eastern Liberia.” Tropical Conservation Science. 7.1 (2014): 115-125. ^ Marchesi, P., Marchesi, N., Fruth, B., and Boesch, C. “ Census and Distribution of Chimpanzees in Cote D’Ivoire.” PRIMATES. 36.4(1995): 591-607. ^ “ Poaching contributes to forest elephant declines in Côte d’Ivoire, new numbers reveal.” WWF. 05 September 2011. ^ Bitty, A. E., Gonedele, S. B., Koffi Bene, J.C., Kouass, P.Q.I and McGraw, W. S. “ Cocoa farming and primate extirpation inside The Ivory Coast’s protected areas.” Tropical Conservation Science. 8.1(2015): 95-113. ^ "Cargill Career Programs". Retrieved 5 November 2014. Wikimedia Commons has media related to Cargill (company).